Wisconsin REScheck,Manual J, Manual D, Manual S | $79 RESchecks & Manual Js. $79 Any Plan. Any State. I had a project today that tested my knowledge and use of the Wisconsin Uniform Dwelling Code 2009. Fortunately, I have created plenty of REScheck energy audits for Wisconsin in 2016. While Wisconsin REScheck reporting was not a major challenge. It did remind me of the differences of the national IECC 2009, IECC 2012, and IECC 2015 energy codes, and the ones that individual states have adopted like Florida, New York, California, Utah, New York, Georgia, Illinois, Washington and the great state of Wisconsin. The Wisconsin Energy code and REScheck reporting can be particularly tricky for a newcomer to REScheck reports, and I am about to tell you why. From the start, the Wisconsin REScheck energy audit takes on a different feel. You log into the REScheck Web software. The interface you have become so accustomed to using, with national energy codes, is suddenly different. After you input the project location, builder, and designer into the REScheck project details section, you move on to the conditioned square footage. Once this is entered, it is time to move to the components. This is where the differences in the Wisconsin REScheck report really start to take hold. First, one concept I learned at REScheck training in Colorado, was that product grouping of like components is not only accepted, it is actually preferred by most building inspectors. This can take a cumbersome REScheck energy report inspection down from a hefty 12-15 pages to a more manageable 7-10 pages, on most REScheck energy reports. The issue with Wisconsin a REScheck report arises in that you have to know your homes site orientation in regards to a compass. This particular home was 180 degrees north on the front side, so I proceeded accordingly. Now instead of having 1 or 2 wall units on this Wisconsin REScheck report, I had 4 separate wall systems labeled front, back, right, and left. Then you guessed it, I did the same with windows, doors, and foundation walls. Even though a typical Wisconsin REScheck is almost 4x the work of breaking out individual components, we still charge one low rate of $79 for even the most complex plans. After all the components were input it was time to do the calculation. This is where the standard REScheck specialist would begin pulling their hair out. Since I built several homes in Wisconsin during my home building career I knew otherwise. I had always created the REScheck energy reports for all my projects. 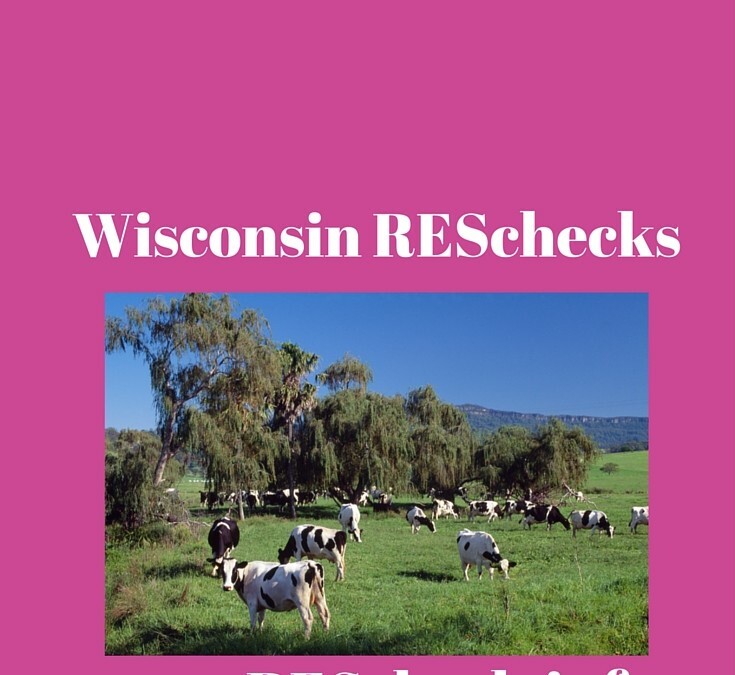 I keep a detailed template and notes for REScheck reporting in every state, including Wisconsin. What will happen on every REScheck energy audit calculated, is that the bar will turn red and the REScheck report will say, fail. The real trick of the Wisconsin REScheck lies in the fact that you have to realize it accessing two separate components. The Wisconsin Uniform Dwelling Code of 2009 allows you to use either the UA or the Mechanical so if you look closer at the red line on your Wisconsin REScheck report it just might say, Fail : Pass. If it does say Fail : Pass the translation of this is that the UA tradeoff has passed, but the mechanical failed. Why did the mechanical fail? You have not input any information yet. According to the Wisconsin Energy Code of 2009 you are allowed to use either or. So printing a report in PDF that shows Fail : Pass actually show a green bar once the compliance certificate is created. At the point I have a pass on a Wisconsin Energy Audit, is when I like to go back through and review all the components of the home. First I double check the REScheck report for accuracy, then I pretend I am building the home. I imagine what I would actually want the home to be insulated like, if I were to live there. Then I write down my suggestions so I can pass them on to the customer. Sometimes for the right energy savings they just might like a free modification to their REScheck report. After all, a $79 REScheck report during the design of your home could easily be worth $1,000,0000 over the lifetime of your home. Most RESchecks we receive have some element of rarity that keeps us thinking and learning more about the REScheck system every day. We keep detailed logs of every project and every state. This way we can review these logs the next time a project comes up from that state. Usually, that is tomorrow so we are always ready for another Wisconsin REScheck report, or anywhere in the U.S. for that matter. We take pride in offering the finest REScheck service available, at the lowest cost, and with the highest levels of service. It is hard to do that if we ever stop learning.